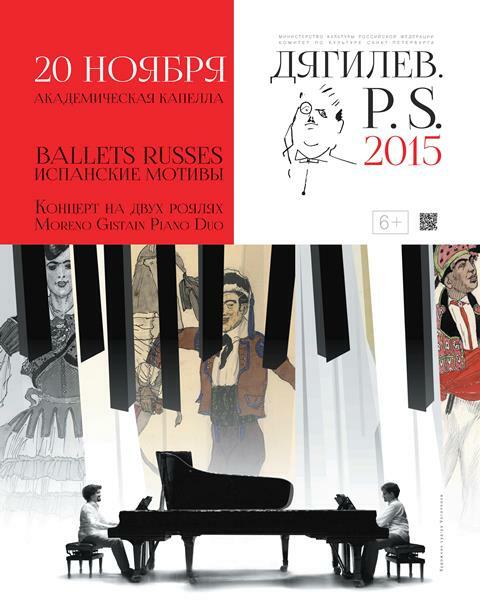 Concert 2 grand pianos "Ballets Russes". Spanish motives. by Spanish duet Moreno Gistain Piano Duo — Diaghilev. P.S. On the 20th of November DIAGHILEV. P.S. 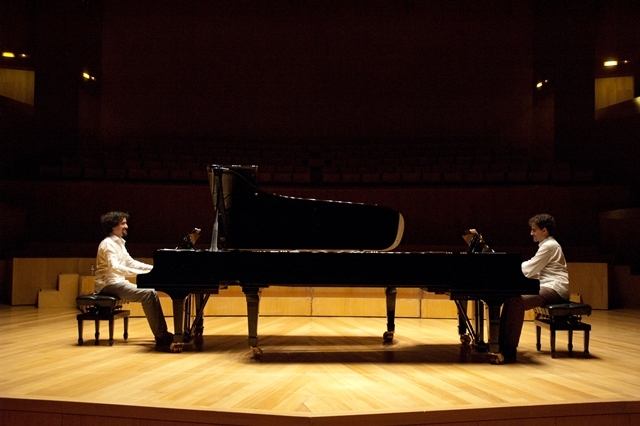 introduced a duo-pianists from Spain – Moreno Gistain Piano Duo. In their repertoire two brothers often refer to the works of composers of Ballets Russes delicately applying new performance techniques. 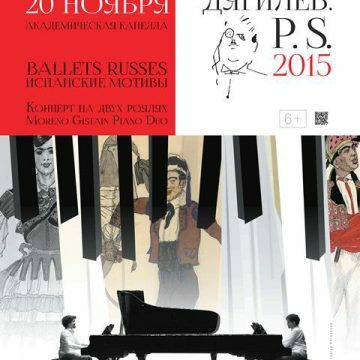 The concert program “Ballets Russes”.Spanish motives for two pianos and four hands included compositions by Glinka, Rimsky-Korsakov, Glazunov, Manuel de Falla and Gabriel Fauré. 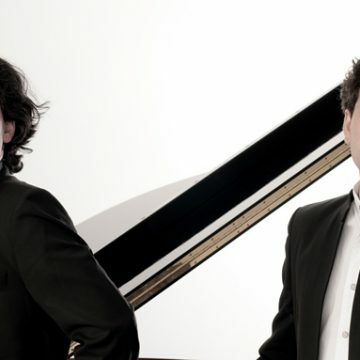 They have performed concerts as soloists or as Moreno Gistain Piano Duo in Spain, France, USA, Italy, UK, Russia, Slovak, Portugal, Austria, Morocco, Bulgaria, Estonia and Belgium. Highly interested in International Cooperation projects they have performed concerts also in Albania and Zimbabwe. Their concerts have took place at prestigious halls as London ILAMS Festival, Palaço Foz in Lisbon, Spanish Music Festival in Vienna, Perpignan Theater, Real Academia de España in Rome, Mozart Hall in Bratislava, Bulgaria Hall in Sofia, Trianon Theatre San Jose California, Tenri Institute New Palais des Beaux Arts BOZAR in Brussels among other major halls. They have recorded for Classical Radio on National Spanish Radio, Aragon Television, Catalonia Music, National Spanish Television, Canal Sur, and on CD for the Albert Moraleda label. Juan Fernando has played with the Symphonic Orchestra of Spanish Radio/Television, under the direction of Adrian Leaper, which was broadcast on Spanish National TV. 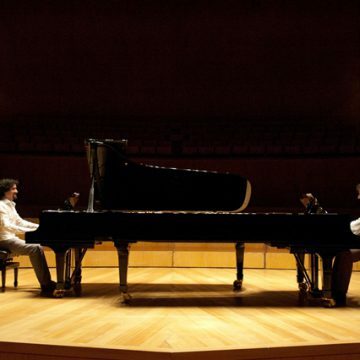 Brothers Juan Fernando and José Enrique Moreno Gistain were born in Barbastro, they have studied mainly with pianists Consuelo Roy, Ramón Coll and Josep Colom. They expanded their educations by taking master classes from distinguished pianists such as Andrezj Jasinski, Yoheved Kaplinsky, Blanca Uribe, Stephen Prutsman, Marc Durand, Ramzi Yassa, Julian Martin, Peter Bithel, Boris Slutsky, Dominique Weber, attending the Maurizio Pollini masterclasses during the International Music Festival in Lucerne, Switzerland,along with summer courses at Salzburg’s Mozarteum. 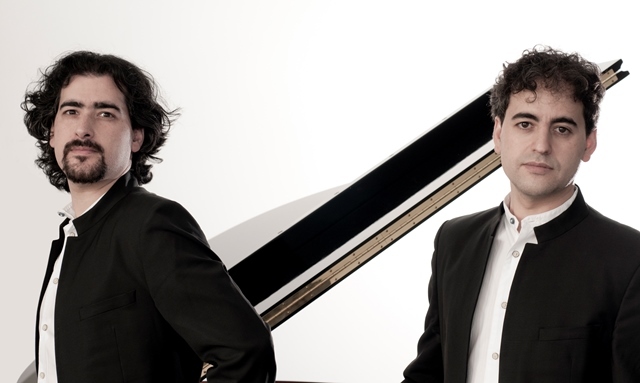 In addition, based on their special dedication to orchestral repertoire, as a duo they have also attended courses given by prestigious orchestra directors such as Josep Pons, George Pelhivanian, Bruno Aprea and Jesús López Cobos.